Trend of Music Industry Today – Nowadays times have changed, anyone who’s not able to keep up with the times will drown. Certainly not forgetting our identity, meaning we must still keep up our identity. Looks like we’ll be difficult if against the mainstream trend. In this case Onmusician will discuss about the Trend of Music Industry Today. Now the era has changed, we may have collected all of our favorite band / singer albums in cassette format, but now all have changed in digital format. This change is actually positive for the music listeners, but it initially had a bad impact on the musicians. It resulted many musicians are out of the mainstream trend music industry. Songs in digital format are very easy to download freely and for free, when and wherever, whether legal or illegal. Unlike the cassette format, you have to find a music store first and then buy it. Very inefficient and waste of time. That’s why today there’s so much piracy happening, although it can’t be denied that in the era of cassette even piracy occurs, but not as bad now. It’s very harmful to the music producer and the artist itself. When the change from analog to digital happens, many musicians experience a decrease in royalty sales of their cassette tapes / CD albums. The listeners prefer to download the free one instead of having to buy the original CD, as CD prices are much more expensive. Though the original CD quality is better than the free download which is usually the mp3 format. The difference between the original CD and the mp3 is in the frequency, where the frequency of the mp3 has been compressed, it causes some frequencies are not heard anymore. Unlike the original CD / DVD, all the frequencies are alive. For the real fans, they will still buy the original product regardless of the high price of the CD / DVD. Even if they download, they will download in a legal place. We should be so, to appreciate creativity of the musicians. The musicians now have a new strategy in addresing the current trend of music industry. They sell songs on itunes or Amazone and promote their video clips on youtube, instead of having promotions on national TV that have an expensive budget per impression. So anyone who wants to download their songs, the artist is still getting royalties from the download. Many artists are also monetizing their youtube channel for more income. Beyond that, the musicians still rely on off-air job as their income. 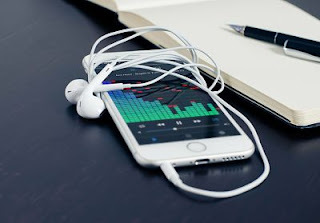 For beginner musicians, it’s now easy to record their songs at home, then promote their work on youtube, hit share buttons to social media and go viral. Unlike the old musicians, they have to do from stage to stage, making demo songs to join the record label, which is very difficult to join the major labels. The struggle of the old musicians become famous is very difficult. Then on-air and off-air job will be easy to come. Your Fan page will get a lot of likes. With notes, your record is cool and original from yourself. Remember, don’t forget to follow trend of music industry. My advice to music lovers, respect musicians, buy their original products. Stop piracy. Create a quality viral work, keeping your musical character in mind. You can use a very powerful media campaign, like youtube. Don’t forget to share your creativity to social media. Remember once again! Do not fight this mainstream trend, if you fight it, you will drown in it. Trend of music industry today.